Oh this is just adorable love the way you did the fur! Thanks for playing along with us at CMC Challenges. Gorgeous card Pat. I love the image, beautiful papers and pretty detailing too. Ooh la la. Like the image, coloring & embellishing. Like teh sparkle on the boa. Thank you for entering OSAAT Ch207 Flowers. 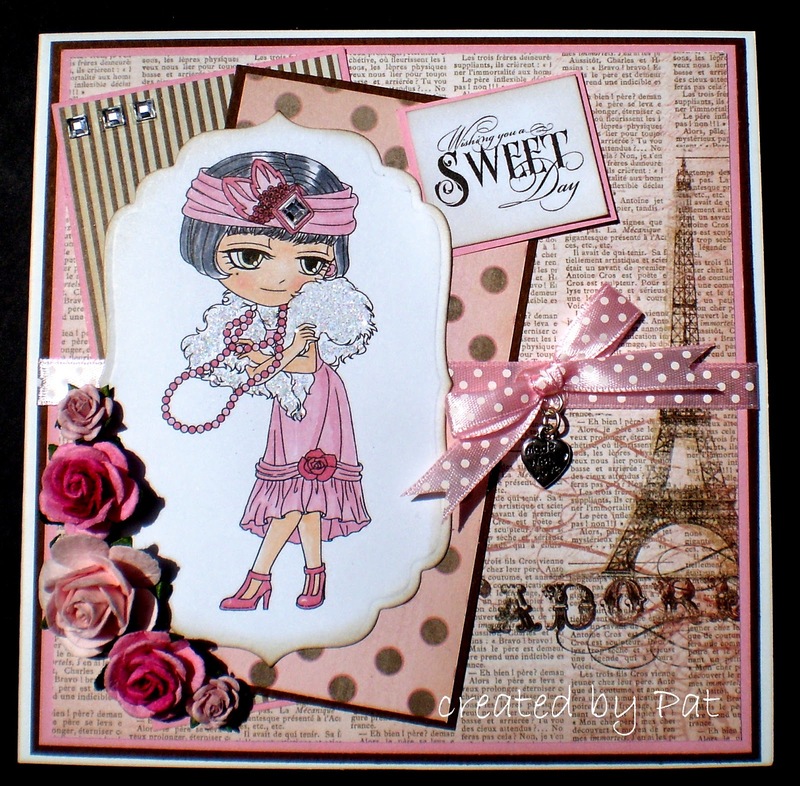 So gorgeous Pat, she looks fabulous and the papers and layout go so well with her. So cute - beautifully designed and made and such fantastic job with your coloring!! Oh wow, I love this image. 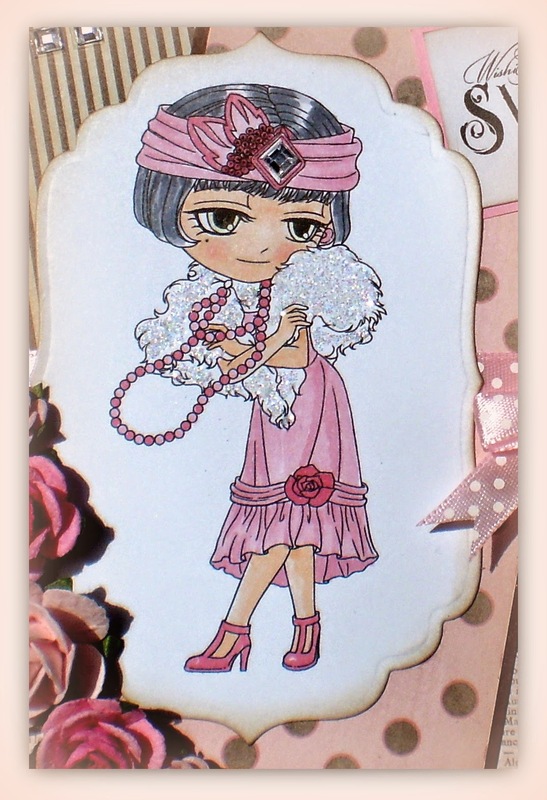 Fantastic pink card. Thanks for joining us at Great Impressions. Gorgeous card Pat. Love the papers they are perfect for your stamp choice. She is so cute!!! Thanks so much for sharing with us at Inky Impressions! Gorgeous card. Love the pink! So elegant love everything about this project ! Thanks for playing along with us at artbymiran challenge.